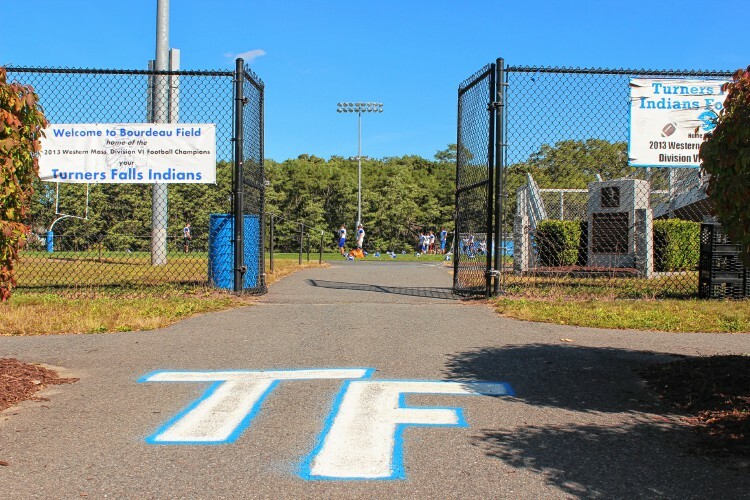 It’s been over a year since Turners Falls High School decided to remove the Indian as its mascot, but some community members are having a difficult time letting go. Overall, the Logo Task Force received 197 suggestions for “Indian” and multiple suggestions for “Pride” and “Tribe,” according to Task Force member Alana Martineau. Read the full article by Christie Wisniewski in the Greenfield Recorder. Centuries after he is believed to have lived and more than 50 years after he was adopted as the symbol of Mascoma Bank, Chief Mascommah will disappear from the Upper Valley. 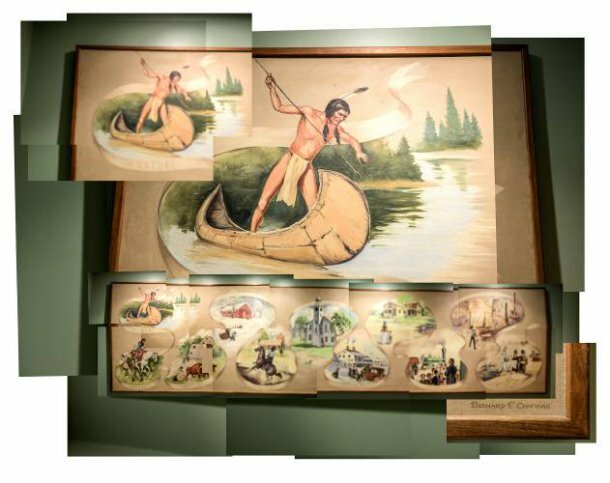 The Lebanon mutual bank will no longer use as its logo an image that depicts the chief of the Squakheag Native American tribe spearfishing from a canoe. The change accompanies an across-the-board program to update Mascoma Bank’s marketing materials that will encompass a newly designed abstract logo and color scheme. The aim is to position the bank as a certified “B Corporation” emphasizing Mascoma’s social responsibility and commitment to the community. A silhouette of Chief Mascommah, whose Squakheag tribe was part of the Abenaki nation, has been Mascoma Bank’s logo since the 1960s. Read the full article by John Lippman in the VTDigger, picked up from the Valley News. More from Mascoma Bank on their name origins here. Note: I would take a good deal of this background with a grain of salt. 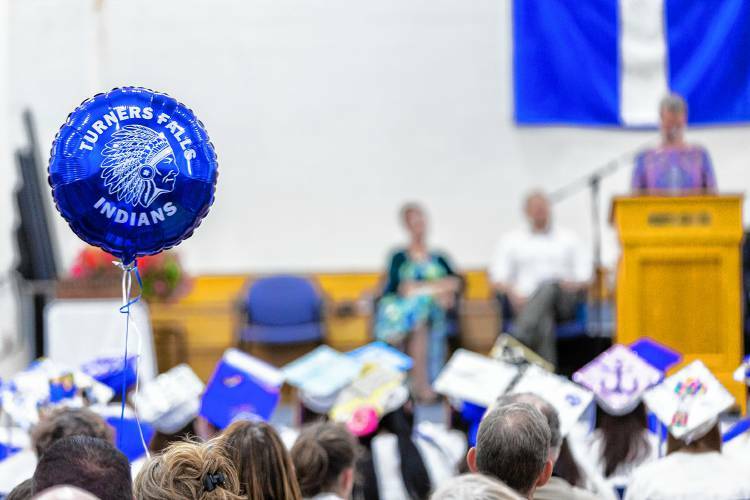 More than 100 submissions have been received about a new mascot for Turners Falls High School as the Gill-Montague Regional School District moves toward a decision on a replacement for the Indian. The task force gathering mascot suggestions is still accepting nominations, which so far have ranged from the old Indian logo to elementary school submissions like “coyotes” or “blueberries’’ — which drew a chuckle from school committee members who heard an update this week. Many people in the community opposed dropping the Indian mascot after some Montague and Gill residents called for a change in late May 2016, arguing the mascot was racist. After a number of discussions and forums, the school board voted to remove the Indian in February 2017, and reaffirmed the decision following a nonbinding referendum in May 2017 that supported restoring the Indian. Read the full update article by Christie Wisniewski at the Greenfield Recorder. 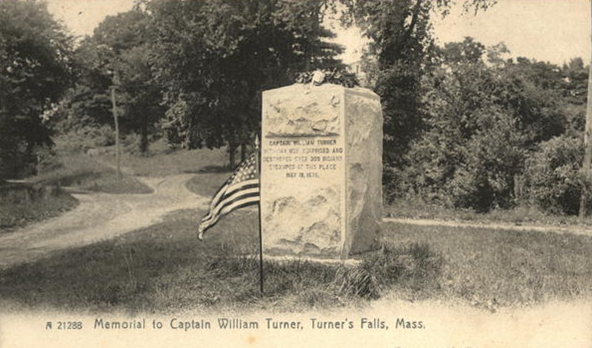 The decision on a new mascot for Turners Falls High School will be made with the help of a community task force created by the Gill-Montague Regional School Committee. 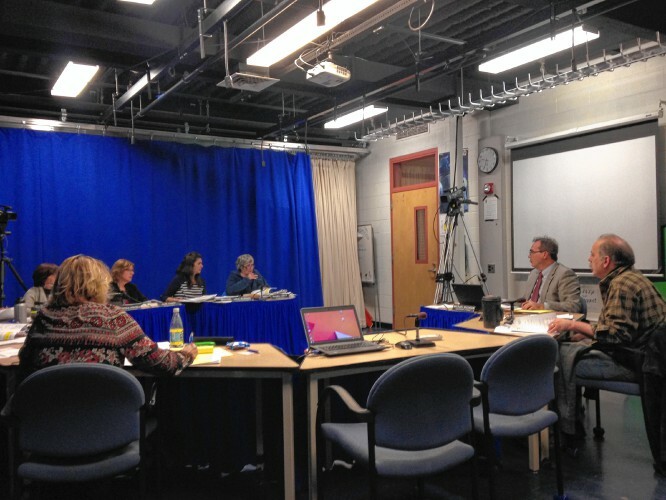 The School Committee discussed the mascot selection process for about an hour and a half during its Tuesday night meeting, where it landed on the creation of an advisory task force that would be a mix of students, high school staff and community members — without district administration or School Committee members. The task force will include up to eight students, four staff members and six community members: three from Montague, two from Gill and one from Erving. Read the full article by Miranda Davis in the Greenfield Recorder. An unfortunate turn of events. At Tuesday night’s Gill-Montague School Committee meeting, Chris Pinardi unveiled a plan to involve Native American tribes and groups in a process that would allow the school to keep its previous mascot, the Indian, while adjusting the mascot to create an accurate and respectful representation. Pinardi, who is a graduate of the school and has been running a group in support of retaining the former mascot, spoke at the beginning of the meeting and delivered a packet with letters from tribal leaders from Vermont and Lowell. He asked the district to consider keeping the name while adjusting the representation with assistance from the tribes. Pinardi asked the board to listen with an open mind and consider suspending the current process to select a new mascot.“I respectfully request that the logo process be tabled and this process be explored fully,” he said. 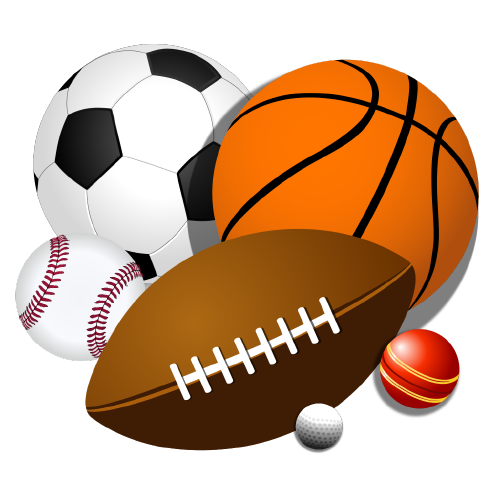 The committee discussed the issue later in the evening, making no clear decision on the issue, and opting to delay discussion of the mascot selection process because of how late it was in the night. Members of the Turners Falls High School community were able to hear from William Brotherton, a lawyer and Native American who advocates for schools to keep Indian mascots. Brotherton, who is from Texas but is a member of the Abenaki Nation of Missisquoi in Vermont, was in the area and stopped in Montague Wednesday night to answer questions and discuss the Turners Falls High School situation at Hubie’s Tavern. The Gill-Montague Regional School Committee voted in February to discontinue use of the Indian as a nickname and logo for the high school sports teams. The vote came to the disappointment of some members of the community who said they felt unheard in the decision-making process. Brotherton said there is a larger, cultural issue of political correctness in America, where people no longer feel comfortable discussing difficult issues. Read the full story by Miranda Davis in the Greenfield Recorder. Yesterday I met William Brotherton in person for the first time. He’s a friendly, self-assured guy, and has been pro-active with me in opening up personal and intra-tribal communications. We had spoken on the phone and emailed a couple times; that afternoon, we both joined a tour of the Vermont Yankee nuclear power plant (VY) in Vernon, Vermont and were able to get to know each other a little. The tour was offered to participants in VT Public Service Board (PSB, now known as the Vermont Public Utility Commission, PUC) Docket #8880. This is the State review process for the proposed sale of VY by owner Entergy Corp. to NorthStar Group Services, for purposes of decommissioning and site restoration. I had filed in May for intervenor status on behalf of Elnu Abenaki, with the backing of the Nulhegan and Koasek bands. Brotherton, who serves on the Tribal Council for the St. Francis Sokoki Band of the Abenaki Nation of Missisquoi, followed suit for their group shortly thereafter. The PUC process is now getting well underway with dozens of discovery and response documents going back and forth. By way of helping to inform the parties involved, the petitioners (Entergy and NorthStar) coordinated this tour within the plant’s security zone for an inside look at the scope of the project. While on the tour of the strongly-secured and highly industrialized site (we’re talking guards with machine guns), I asked many questions of our hosts regarding ground disturbance and oversight protocol. While I didn’t get many direct answers, Scott State (CEO of NorthStar) assured me that he understood and respected tribal concerns about cultural heritage and and wanted to be sensitive to them. I believe he has become much more aware of these aspects than was the case previously, and while we must take any such proclamation with a grain of salt, I am guardedly optimistic that there may be some constructive dialogue going forward. I noted that William Brotherton did not ask any questions about cultural resources. At one point, I gestured across the Kwenitekw (Connecticut River), to the eastern bank in New Hampshire, and mentioned to him about a fortified Sokoki village site there. It had been attacked in December 1663 by a large force of Mohawk, Oneida, and Seneca warriors and successfully defended, although with a great loss of life; the land here holds many spirits, many at rest but others disquiet, whether from war or forced displacement or simply blatant disregard by modern development. William expressed surprise at what I had said. I began to understand the degree to which he was unfamiliar, indeed almost completely separated, from nearly all cultural understanding of Sokwakik. I am not sure that he knows what “Sokoki” signifies, much less represents – if I am wrong, I welcome the conversation. Afterward, we went down the river a half-mile and sat on a cottonwood log below the Vernon Dam, built in 1909 atop an ancient fishing site there at Great Bend. We spoke together for over an hour. I wanted to use the opportunity to talk with him about the significance of the landscape here to its people, past and present, and why we had filed as intervenors in PUC Docket #8880. I wanted to understand what he, on behalf of Missisquoi, had in mind as well. He didn’t really have an answer. I also wanted to talk to him about his endorsement, as a Tribal Council member, of the Indians team mascot/logo in Turners Falls, where he was going immediately afterward to speak to a group of supporters. I knew where he was coming from, ideologically, since I have read his articles and perused his CV. I started by saying that I (and others) fully endorse the incorporation of a regular curriculum segment devoted to indigenous culture and the effects of colonization, not only in Turners Falls High School but all educational forums. This would probably be the best thing coming out of the entire mascot controversy, because it will help to displace the ignorance – the “not-knowing” – that brought us to this juncture and the benightedness – the “not-caring” – which follows. I pointed out to him that the contemporary indigenous people in the immediate area, Nipmuk and Abenaki, had clearly expressed their opposition to the continued use of the Indians mascot, and why this was the case. I don’t think he heard, or grasped the significance, what I was saying. To borrow his own words, from Miranda Davis’s Recorder article: “Brotherton said there is a larger, cultural issue of political correctness in America, where people no longer feel comfortable discussing difficult issues,” this is exactly the case here. This initiative is not an erasure of history or a sanitizing campaign. Yes, this is very uncomfortable situation. It is hard to take a clear look at what has brought us all to this challenging place, recognizing that we can do much better and that everyone in the community will benefit. To NOT do so is continuing the illusion of propriety and the normalizing of disenfranchisement. This IS that difficult discussion which we are having, and to which Brotherton alludes. But first of all we need to know what we are talking about. I hope I can continue this exploration with William – I told him that as we parted on Wednesday afternoon. And I hope we can share this story with many others, in hopes for a healthier, more inclusive life for all in this beautiful place. Massachusetts lawmakers are weighing whether to ban the use of Native American mascots in public schools — a proposal that drew strong opinions at a public hearing Tuesday. The push comes after the town of Tewksbury rebuffed efforts to change the name of its high school mascot, the Redmen — and even as the town of Montague continues to debate its school committee decision to remove its long-time Indians mascot. Thomas added it’s hard to imagine any other racial group being used as a mascot. Read the full story in the Greenfield Recorder.